If there is one beauty secret that most women want to know it has to be how to hold back the aging (anti-aging) process. While there is no miracle fountain of youth there are measures you can take to ensure you stay looking young whatever your age. During your 20s this is when your skin regenerates quickly so you should have a soft, smooth and radiant complexion. This is because the collagen, which helps your skin look plumped up as well aiding its elasticity, is at its optimum health. In addition things like sun damage has yet to show on your skin. However, just because your skin looks youthful doesn’t mean that you should forget about anti-aging. One of the best things you can do to keep your skin in the best condition is to protect it from the sun as UVA and UVB rays cause damage to it and will eventually start to make you look old prematurely. When it comes to anti-aging creams as long as you have a good skincare regime (so you cleanse, tone and moisturise regularly) that should be enough to help your skin looks its best. It is in your 30s that you may start to notice your skin changing this is because cell regeneration has started to slow down so your skin might start to look dull and as you aren’t producing as much collagen so you might start to notice fine lines. Now more than ever a good skincare regime is vital – so you need to make sure you are exfoliating regularly as well as moisturising your skin. Hopefully, by now you will have gotten into the habit of using SPF daily but now is also a good time to start thinking about using specific products with anti-aging benefits to help keep your skin looking elastic. While treatments like Derma Rollers (or micro needling as it is also known) can help improve penetration of creams and gels into the skin, trick the skin into renewing itself as well as helping it produce more collagen, which will help it look more radiant. This is when any sun damage, a slow down in the production of collagen and a decline in the female hormone oestrogen (which maintains collagen and elastin) will really start to show meaning that your skin starts to get wrinkles and fine lines as well beginning to look duller. However, this doesn’t mean you should give into the aging process instead anti-aging products and sun protection need to be a staple part of your beauty regime. There are also a number of treatments you can which means you don’t have to give into the aging process and can avoid going under the surgeon’s knife. 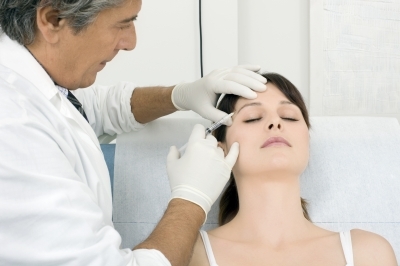 Botox and fillers can help iron out wrinkles and fine lines making your skin look younger and rejuvenated. While a CACI non-surgical facelift can help improve collagen production as well as decreasing pigmentation and improving blood circulation to the skin – all of which will help you look younger and will fight the aging process.